For manufacturers, product lifecycle management (PLM) software solutions can be the difference between having a stellar launch and an uninspired flop. As the first cloud-only PLM provider, Arena Solutions has made the benefits of a good PLM system faster, more affordable and easier than ever to access. We spoke with CEO Craig Livingston about what makes Arena customers so happy with their software, and how his team is working to stay on the cutting edge of the cloud revolution. How did Arena Solutions get started? It’s one of those classic stories. Two guys were working for a small company, making underwater cameras at the time, trying to compete against the big boys. They couldn’t afford the PLM solutions that were out there, and they couldn’t afford the millions of dollars and the nine months it took to implement those systems. So they grabbed some of the latest technology and built a system based on their own requirements. The solution helped them get their products to market much faster and link in their key suppliers so well, they formed Arena in 2000 to help other small manufacturers that had the same problem: not being able to afford nor take the time to implement solutions to help them compete. I joined the company as CEO in 2008 as we were just getting ready to scale the company. We had successful customers at the time, and we added a number of key industry veterans to our team and leveraged the great talent we already had to take the company to the next level. As a cloud-based PLM solution Arena is set apart from other vendors by the nature of your product, but what else differentiates you from the competition? You’re right – we invented cloud based PLM. We’ve had tens of thousands of global users over time, these are OEM customers and their supply chain, around the world logging into the Arena system. Our user base boasts the largest supply chain, making it easier for new users to aggregate that same supply chain as they’re familiar with Arena. We have lots of happy customers all in the same instance of the software on our multi-tenant platform. I’m glad to say that we also have happy employees. That goes hand-in-hand. For the past two years in a row we were named as one of the best workplaces by the San Francisco Business Times. And in the previous year we were named as one of the best workplaces by The Bay Area news group as well. We have a broad level of functionality that helps our customers compete in their markets. While it took a fair amount of time to build a cloud-native solution on par with the incumbent on-premise PLM solutions, what really sets Arena apart from the competitors is our ability to leverage technology in the cloud to offer a full-featured solution that is also affordable, easy to implement and easy to deploy broadly to everybody who needs to rely on accurate product data to get their products to market on time and on budget. Who would you say is your ideal customer? You started out with smaller businesses, but has that changed over time? Do you have a specific audience in mind when you develop your product? We have some very small well-funded pre-revenue customers whose prototype products of today will likely become tomorrow’s coolest products everyone is talking about. As we continue to develop our products, we haven’t gone away from serving smaller companies. That’s our heritage. We take great pride in helping our small customers compete with companies who have a lot more resources, but we also see larger and larger customers, with several hundred to thousands of employees, adopting Arena’s solutions. High tech electronics, consumer electronics, green tech – those types of companies are right up our alley. We also have a lot of medical device companies that utilize Arena to develop their products and also to help them get through the FDA approval process. Typically, our customers create products that are highly complex, and usually have electronic components in them. They’re dealing with shorter and shorter market windows, which mean they have to design each version of their new product for the market in much less time. The design windows are getting smaller and they’re also relying on an increasingly complex globally dispersed supply chain to help bring their products to market. So you can imagine the amount of data that it takes to define a complex product and the amount of changes that happen from the early stages of the idea and prototype, all the way through volume production. There’s a chip in almost everything these days, right? The average luxury car today contains around 100 chips to manage all the electronic components. 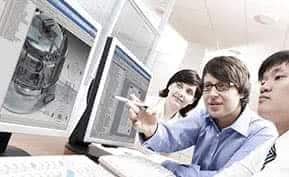 And manufacturers need to make sure that the hundreds of weekly product changes get communicated accurately to everybody along the chain inside the company and outside the company, so they are dealing from the same design specs. Arena helps by centralizing and managing this complex data and processes to help manufacturers become more efficient while reducing costly errors. What do you think is the most significant barrier to successful adoption of a PLM solution? Are there unique problems that come with using a cloud-based solution? In a lot of cases the classic inhibitors are cost and time. Leveraging the cloud allows us to deliver traditional SaaS benefits to companies: low upfront cost, annual licenses, no IT, no hardware and back-ups to manage, etc… All of those things help reduce the cost to implement the software, but then you also have the time barrier. Imagine a midsized manufacturer trying to get develop their products. They’re usually understaffed, trying to be as efficient as possible, trying to make their deadlines, all while managing their complex data. While PLM helps with the data complexity and management problem there is a fair amount of investment in actually getting all the data up to date, corrected, accurate and imported into a PLM system. One of the things we’ve really been focusing on over the years is making that process simpler, less time-consuming, more accurate and certainly less expensive. Traditionally for every dollar you spent on a software solution you would spend at least a dollar on the implementation and services. And you’re talking six months to a year of implementation time to get the product up and running. That’s a huge investment for a small company. So we’ve reduced that time to a couple of weeks instead of months to years, and typically we’re pennies on the dollar for the cost of implementation. Normally our customers can get up and running in days – not months for $2,000 or less. That’s a lot of the reason why we’ve been able to successfully implement nearly 1,000 customers since Arena was founded. Are there any unique challenges to developing and supporting a cloud PLM? With the explosion of the cloud, many companies are trying to get to the cloud by re-purposing their existing solution and making it accessible through a browser. One of the good things about Arena and one of the challenges at the same time, is that from day one our product was cloud native and multi-tenant, which means there’s one instance of the software and one database that’s driving the entire system. In the early stages of a product, it takes longer and requires more resources to develop a like level of functionality for a cloud-native multi-tenant application vs. an on-premise application. There was a barrier to entry for software companies that were developing cloud-native app’s, especially back in the early 2000s when Arena was founded, and the cloud was just coming into its own. PLM in itself is a complex solution that’s enterprise wide and multi-departmental, so it takes a lot of time to get to a level of functionality that is competitive and helps companies in a broad enough way to really solve enough of their problems. While it took us longer to gain parity with other systems, now that we are here we can leverage the efficiency and scalability of our platform to deliver new functionality to our customers at a much faster pace than our competitors. Another barrier is that for manufacturers, the IP that they own and are developing represents most of the value of the company. If their IP landed in the wrong hands, it could be devastating or spell the end to their competitive advantage. So it’s very, very important to trust in the cloud solution and the vendor to be able to feel comfortable adopting a cloud solution and putting their IP in the cloud. That has been a barrier that’s been getting easier and easier as cloud solutions have gained more traction and matured over the years since Arena started. Now it’s actually a strength for us because we’re able to be very confident when we tell our prospects and customers that with our private cloud, their data is likely far safer with Arena than it is with their own internal IT department. Looking at the big picture of Product Lifecycle Management, are there any changes in the PLM industry that you’re anticipating in the next few years? Any new features or new developments that we should be looking forward to? I’ve been in enterprise software for the past 30 plus years, and the software industry is changing with the advent of free and 99 cent phone apps and less expensive cloud applications. Not too many years ago, my customers would say, “Craig, stop putting out so many releases. It was just 18 months ago that you came out with your last one!” And now our users are very happy to see that we’re giving them three or four major feature releases every year along with minor releases and bug fixes every couple of weeks. It’s one of the reasons why we’ve structured and made significant investments in our products organization to rapidly develop, test and deploy high quality software for our users. We also see cloud advancements in manufacturing. 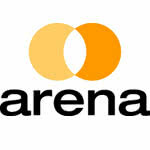 Like Arena did more than a decade ago, the entire manufacturing ecosystem is now moving into the Cloud, with modern design tools, giant databases containing attributes and data sheets on electronic components, e-commerce tools for streamlined purchasing, and solutions for managing and coordinating data throughout the extended supply chain. There’s a tremendous opportunity for PLM companies, if they’re properly architected, to be able to connect the product data that is in traditional PLM with the universe of ecosystem cloud data. This will enable manufacturers to further speed up by a significant percentage their design times, reduce mistakes and provide a much higher level of communication up and down the supply chain. Anything coming up from Arena that we should keep an eye out for? We have a major release coming in a couple of weeks that among other great features, will further reduce the time and cost of implementation. It will include the most advanced import tool available in the industry that provides the ability to review redlines of changes before committing to the system, reducing errors and improving efficiency. 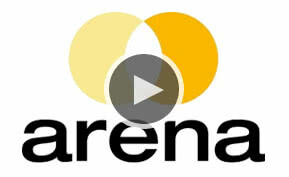 And stay tuned for much more from Arena as we release some major new PLM modules by the end of the year. Looking for more information on product lifecycle management software? Compare Arena Solutions and other leading platforms by downloading our Top 10 PLM Software report. You can also browse exclusive Business-Software.com resources on product lifecycle management by visiting the PLM research center page.